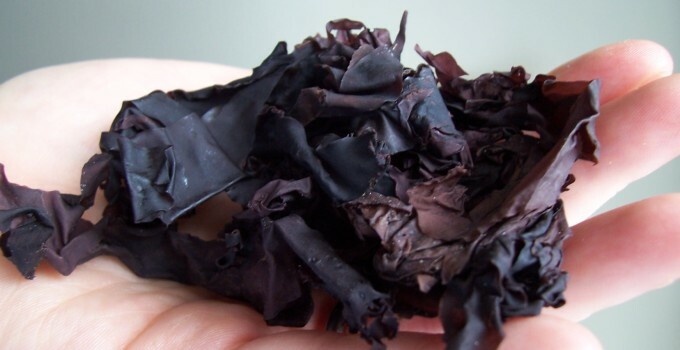 Dulse (Palmaria Palmata) is a wild seaweed that grows on the North Atlantic coast of Britain. Its Gaelic name is duileasg, and the fronds are long and membranous with a dark reddish-purple translucent hue. It formed part of a regular diet for coastal-dwelling communities in Scotland and Northern Ireland for centuries, as it is highly rich in vitamins and minerals, and a good source of protein. It is a very versatile ingredient; it can be eaten raw, having a salty flavour and chewy texture, like a natural chewing gum. It can also be dried and consumed as a snack or added to broths and stews to enhance the flavour and act as a thickener. It can be boiled for several hours into a pulp which has a porridge-like consistency. Coastal communities have engaged in the harvesting of dulse, an activity known as ‘dulsing’, for hundreds of years. The earliest recorded evidence of harvesting was by the Irish monks of Saint Columba’s era over 1400 years ago. Dulsing requires harvesters to set sail in the early hours of the morning and wait for the tide to go out. When the sea draws back, swathes of dulse cling to the rocks across the shallow seabed. The dulse is gathered in large quantities and taken back inland where it is spread onto the beach to dry for several hours. It has an association with poverty as it became a dietary supplement for Scots displaced to the coast in the 19th and 20th centuries, and was eaten as nourishment during the Great Famine in Ireland. A tradition in Northern Ireland is to eat dulse at the Ould Lammas Fair in County Antrim at the end of August. The festival marks the end of summer and has been going on since the 17th century. 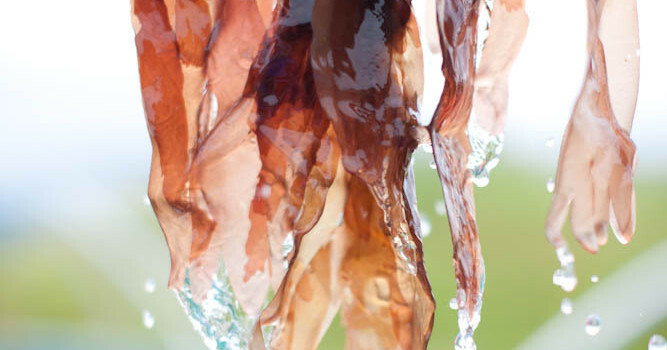 It is not possible to harvest dulse from the English coastline as the water is now too polluted, but in recent years there has been a revival of harvesting the abundant varieties of seaweeds from Scotland and Ireland’s much purer coastal waters. Foraging for dulse remains a niche and labour-intensive activity that has not been commercialized on any large scale, but increased attention on the positive health benefits of eating seaweeds mean that you can find dried forms in specialized health shops. It is a versatile and healthy ingredient surrounded by many traditional recipes for consumption, which need to be preserved.